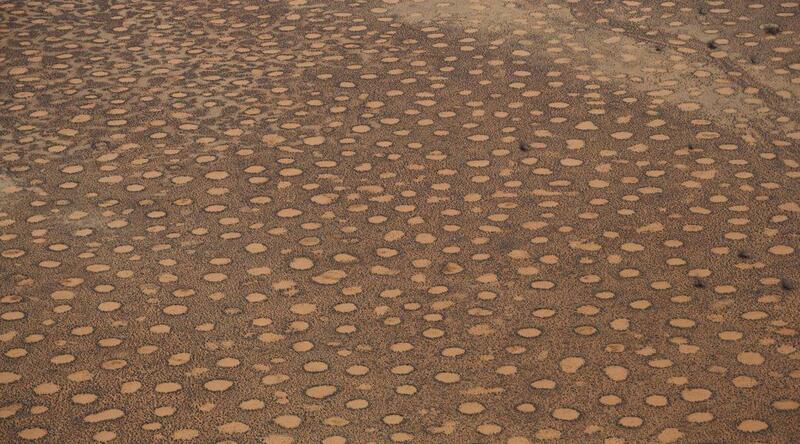 You might have noticed the inexplicable bald patches in the landscape when travelling Namibia and the Northern Cape. Tourists have often wondered if these were caused by radio activity, meteorites, UFO’s or maybe even fairies. The indigenous San and Himba people believed that these circles may have been caused by dragons that stayed underground, evil spirits or gods. These circles can be seen all over Namibia, but more often in western Kaokoland, as well as along the N1 between Springbok and Van Rhynsdorp. They are between 2m and 10m wide with grass growing rampantly on the edges while the insides are barren.